The focus during the cold winter months of November and December is to keep the lawn free of winter debris and to do any soil pH adjustments which maybe needed. Control of moss can also be carried out to help keep any moss issue at bay. 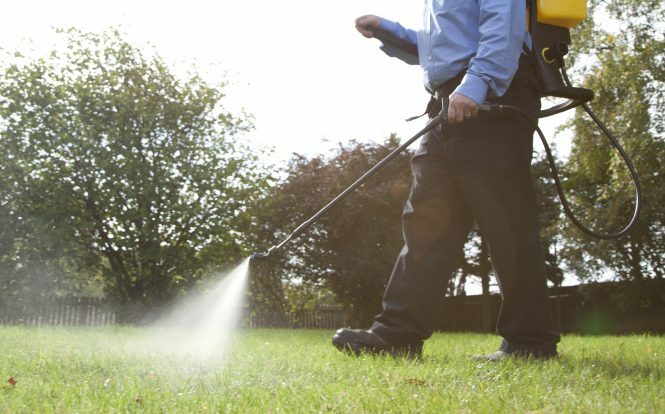 It is also beneficial to keep an eye on the grass for any signs of fungal infection and keeping it tidy. Leaves and debris left on the lawn, if left, can kill the grass underneath. The grass will be slowing down growth, but a high potassium fertiliser can be applied if needed. It is also important to keep any disturbance of the grass to a minimum, so aggressive cultural treatments such as scarification should be avoided in the winter because the grass is unable to recover quickly due to the low light levels and temperatures. Check up of the grass and tidy the lawn. Conduct any pH adjustments, if necessary. Keeping potassium levels topped up. Help toughen the grass during the winter months. The moss control treatment will turn any areas containing moss black, which can be a visually striking, but is quite normal. Treatment 5 is applied in November or December. However, the exact time will depend on the local weather conditions and the date of the previous treatments. Treatment 5 can be applied in nearly all weather conditions, as long as the lawn is not flooded or covered with snow. There is no preparation needed before the treatment can be applied, although it would be beneficial if all the leaves are removed from the lawn beforehand. None of the regular treatments produce any waste that the customer needs to dispose of. If the moss is thick on your lawn, then once it has been turned black it can be raked out. If the weather and ground conditions are favourable a mid-winter aeration treatment can be carried out. Aerating during the winter means that the soil can recover and relax. All ready for spring growth.